The lattice package in R Programming provides xyplot to draw Scatter Plot. 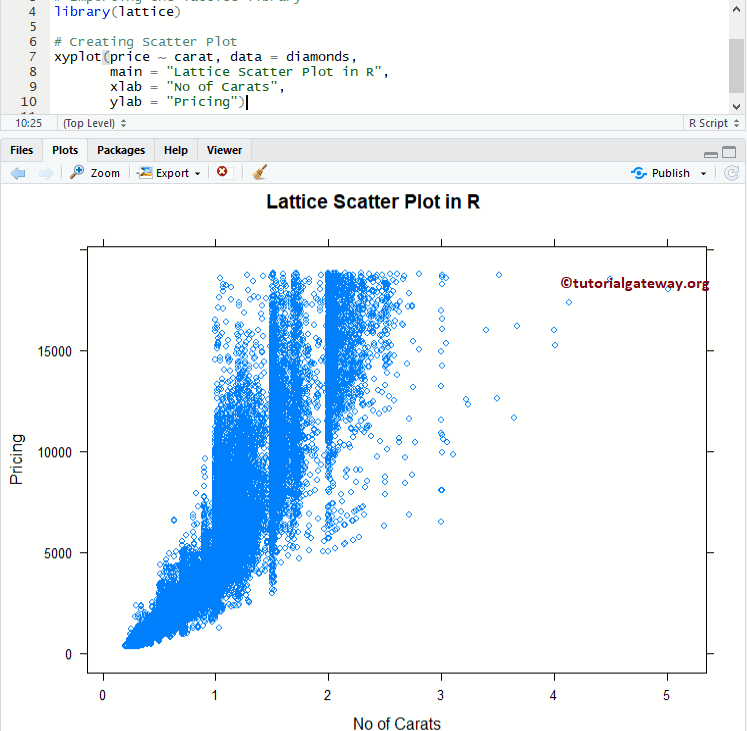 This lattice scatter plot in R is very useful to visualize the relationship between two sets of data. You can call this R Scatter Plot as scatter chart, scatter graph, scatter gram, or scatter diagram. For example, to visualize the Salary against Experience use this Scatter Plot. 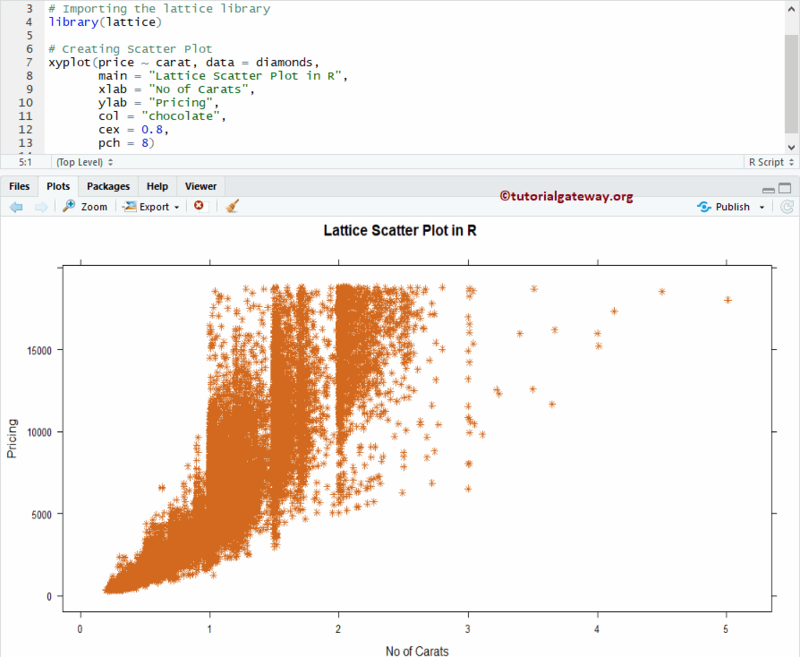 In this article, we will show you, How to Create Lattice Scatter Plot in R, Format its colour, shape etc with an example. main: Main Title for your scatter plot. 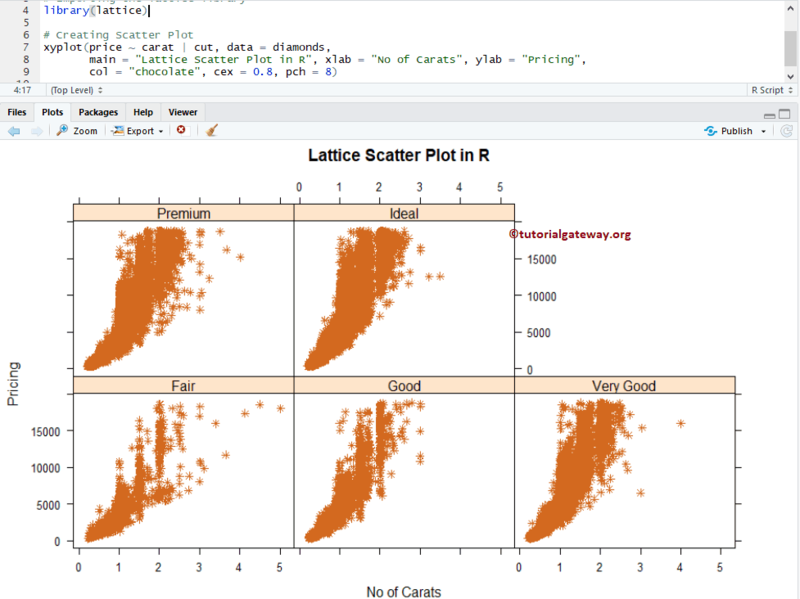 In this example, we will show you, How to change the shape, and colour of a lattice scatter plot in R using col, and cex arguments. col: Please specify the colour you want to use in your Scatterplot. In this example, we will show you, How to divide the scatter plot using groups. 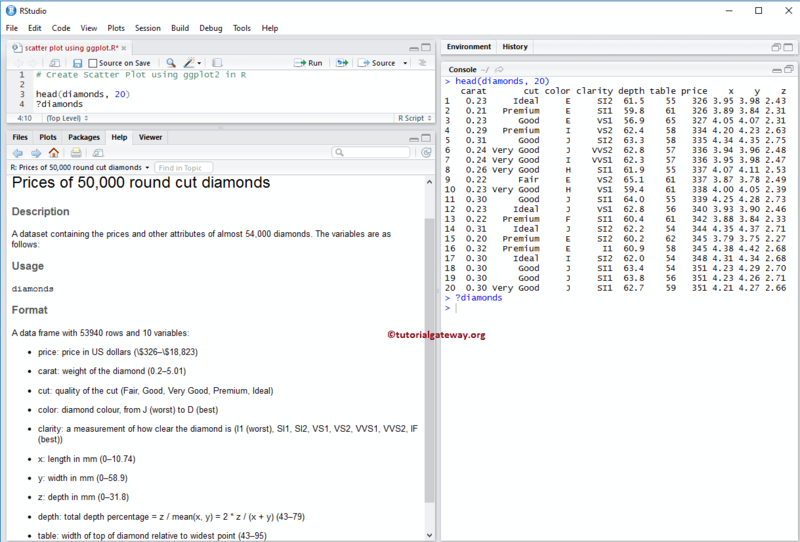 Here, Scatter plot is dividing based on the Cut.